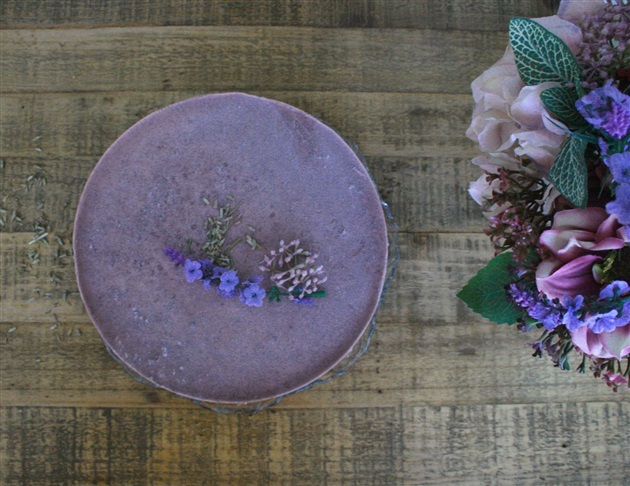 It was my mother’s birthday yesterday, so I had to make her a 100% raw cheesecake. Recently, she started to follow a very strict diet (her doctor guided her into this decision), excluding gluten, refined sugar, yeast and dairy products. ‘What’s left behind?’ everyone reacts. It is quite unusual for Turkish people, because our traditional diet contains all (although we do have some healthy home made Turkish cuisine alternative, it is not valued greatly). Eating a plant-based diet really confuses people’s minds, especially raw food diet. However, the reasons of a diet consisting heavily on raw food is very logical. Let me explain. One of the main reasons is the enzymes. The first things that are destroyed when you cook the food, are the enzymes. Most enzymes are dead at 45 C. They are extremely important for our body. Every food has enzymes -enough to make it easier to digest the whole food. When they are dead, your body needs to produce more enzymes in order to digest the food you eat, your pancreas and liver works harder than they supposed to. Thus, your body gets tired, and it steals from our ‘enzyme bank account’. We get into debt. In spite of we would put more enzymes in our account (which means eating raw food-they are the only enzymes we can take exogenously! ), we keep going on stealing them. It is very interesting that, the ratio of our pancreas and liver to our body is more than double than other mammals. We are the only animals that cook(!). ‘OK, I get it, but why the enzymes are so important, our body already produces these stuff’ you may say. Enzymes are the catalysts, the large biological molecules responsible for the thousands of chemical interconventions that sustain life. Meaning, you could read this sentence in 100.000 years if there were no enzymes. The older our age, the less enzymes we have in our body, the researches show that they are naturally anti-aging. The best way to fill our enzyme bank account is to eat raw food. Very simple. I don’t say you have to eat 100% raw, the researches show that if you eat 51% raw, your quality of life improves dramatically, any existing diseases disappears, your immune system becomes stronger, your digestive system works a lot better and you body rejuvenates… The list of benefits is endless. Onto the recipe. Because my mother LOVES almonds, I used almonds only for this recipe, but the original calls for cashews, which makes the cake very creamy (which I like). 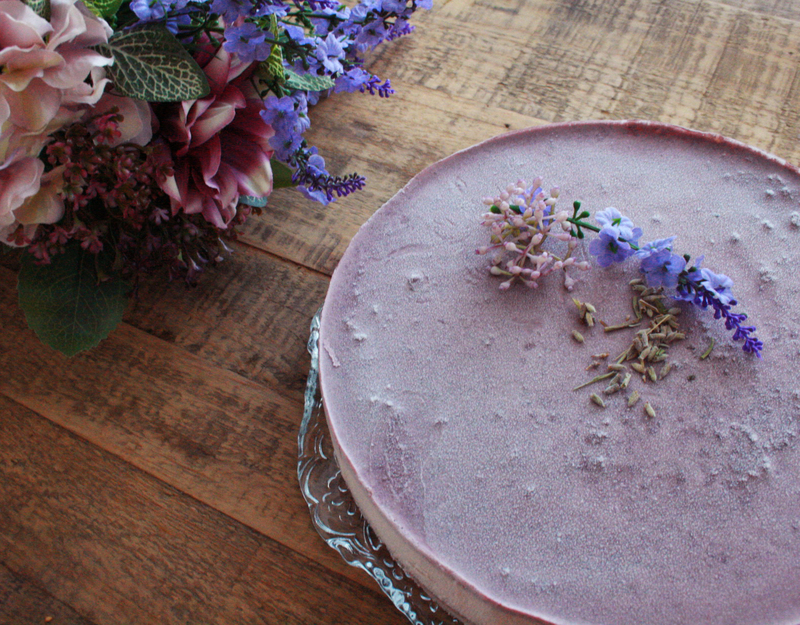 Lavender is one of my favorite herbs, it adds a different flavor to the traditional raw cheesecake recipe. In a food processor, put the almonds and process them first. Then add the other ingredients and blend. Press the mixture into the base of a 22 cm springform pan. Blend everything in Vitamix and pour the mixture onto the crust. Blend everything in Vitamix. Pour on top of the filling. Wrap the pan and place in freezer at least 1 hour. You can place it in refrigerator 30 minutes before serving. Bademleri iyice un haline gelecek şekilde robottan geçirin. Diğer malzemeleri de ekleyip tekrar karıştırın. Karışımı 22 cm çapında bir springform kalıbının tabanına yayın. Bütün malzemeleri Blenderdan geçirip tabanın üstüne dökün. Malzemeleri Blenderdan geçirip dolgu malzemesinin üzerine dökün. Kalıbı sarıp, buzlukta en az 1 saat bekletin. Servis etmeden yarım saat önce buzdolabına kaldırabilirsiniz. P.S. Bu yazıyı Temmuz 2013’te konuk yazar olarak Vogue Gurme Blog için yazmıştım. Siteye buradan ulaşabilirsiniz.